With so many amazing places to see in the world, I sometimes forget to explore close to home. After scrolling past Antelope Canyon on many top travel destination lists, it was time to visit this natural wonder for myself. Just 5 hours north of Phoenix lays a desert oasis that boasts more colors than the famed Arizona sunsets. 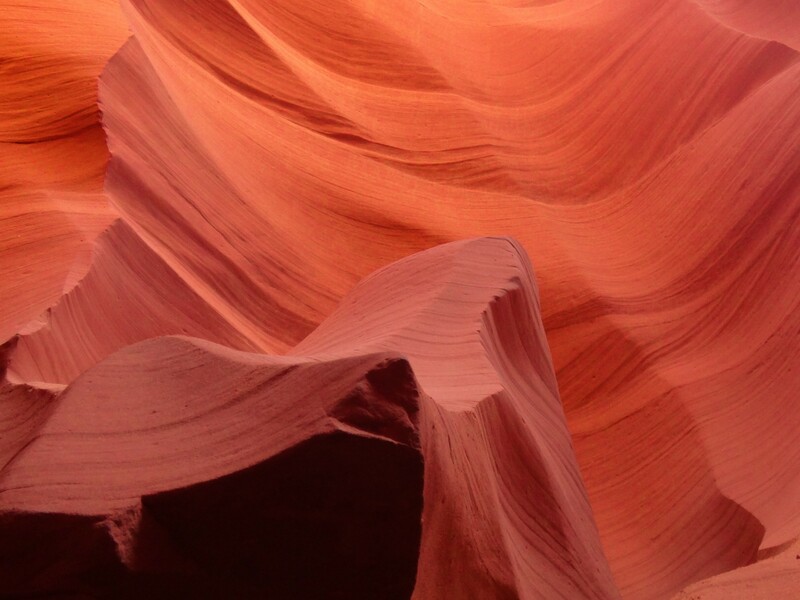 These are the top 10 things you need to know before visiting Antelope Canyon. There is a reason Antelope Canyon is on countless travel destination lists. It is one of the most unique places in the world that is also very easily accessible. 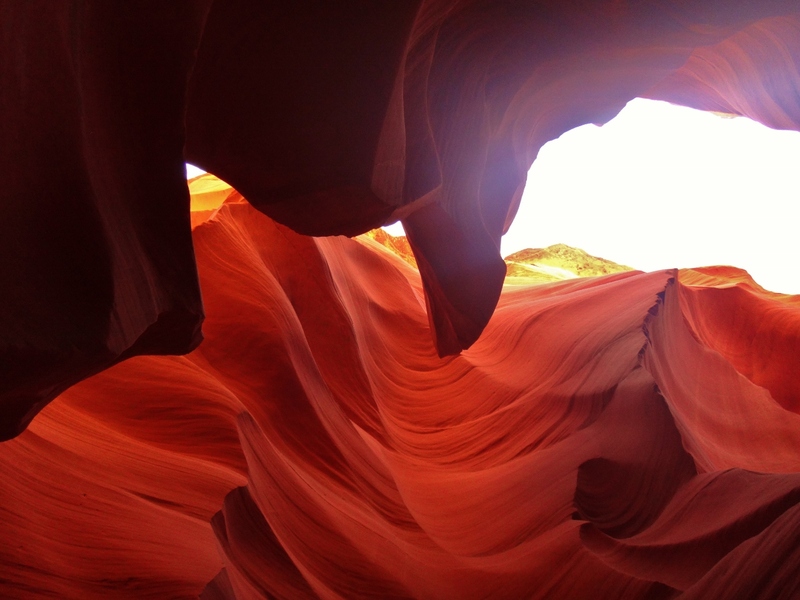 The walls of the canyon come to life with color and movement that you have never seen in nature before. Many don’t know it, but Antelope Canyon is actually divided into two separate sections – the Upper Canyon and the Lower Canyon. Just a mile or so apart, I recommend visiting both if you have time. If I had to choose just one, my vote would go to the Lower Canyon by a landslide. 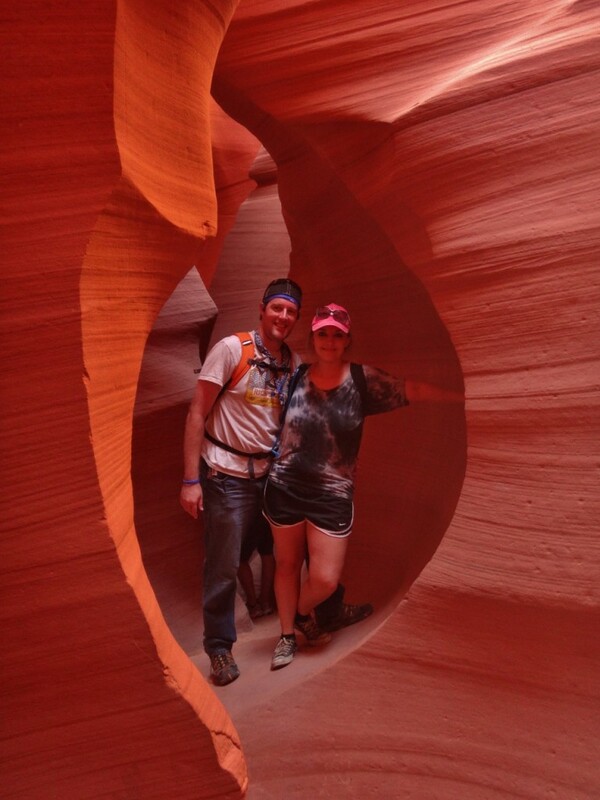 The Upper Antelope Canyon is the more famous of the two canyons – it’s the one you see in all the pictures. But what you don’t see in the pictures are the 500 tourists they push through the canyon every two hours. Yes, 500 people every 2 hours!!! 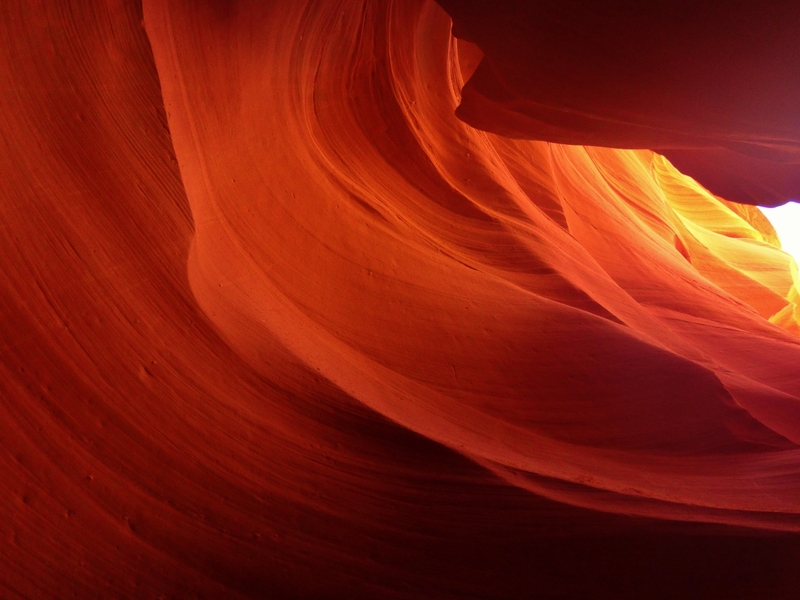 Antelope Canyon is located on Indian reservation land and no visitors are allowed to access the canyon without a guide (this is also for safety reasons – see #9). Don’t forget gratuity for your guide if they are extra awesome! 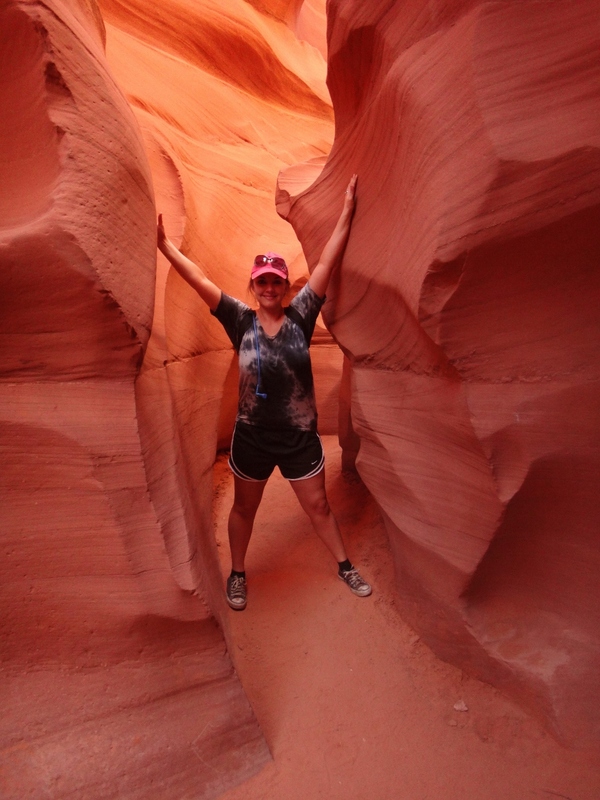 The Lower Canyon is underground (making the temperature much cooler than the Arizona heat you’ll experience above ground) and is V-shaped; the base of the canyon is narrow (only one person could squeeze through at a time in certain areas) and is wide at the top. 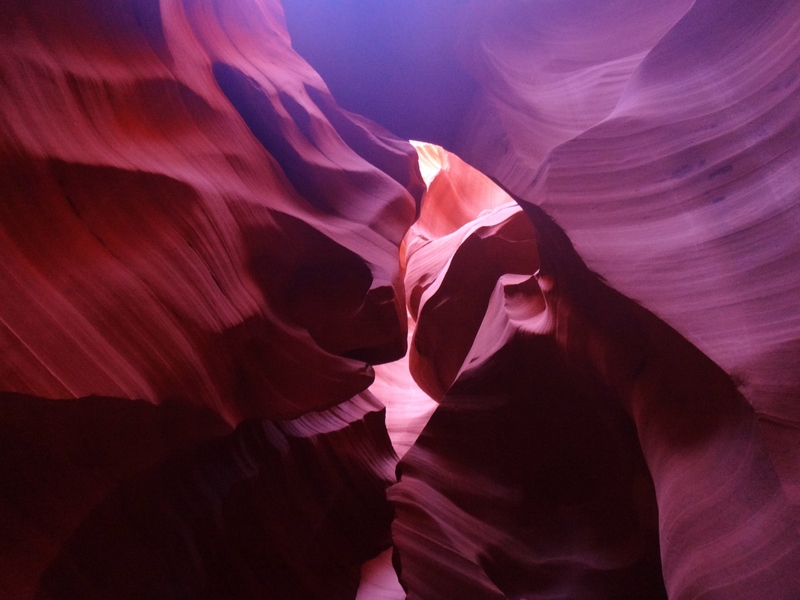 The specific shape of this canyon allows plenty of sunlight to seep in and filled the space with vibrant reds, oranges, yellows, pinks, and purples. When I visited, I truly felt like I had stepped off a space shuttle and was somewhere on Mars! The stone walls of the canyon looked like petrified waves that flowed unendingly, turn after turn. I had never seen anything else in nature like it. The Lower Canyon is for the more adventurous type; you will descended into the canyon through a network of steel stair cases and ladders. 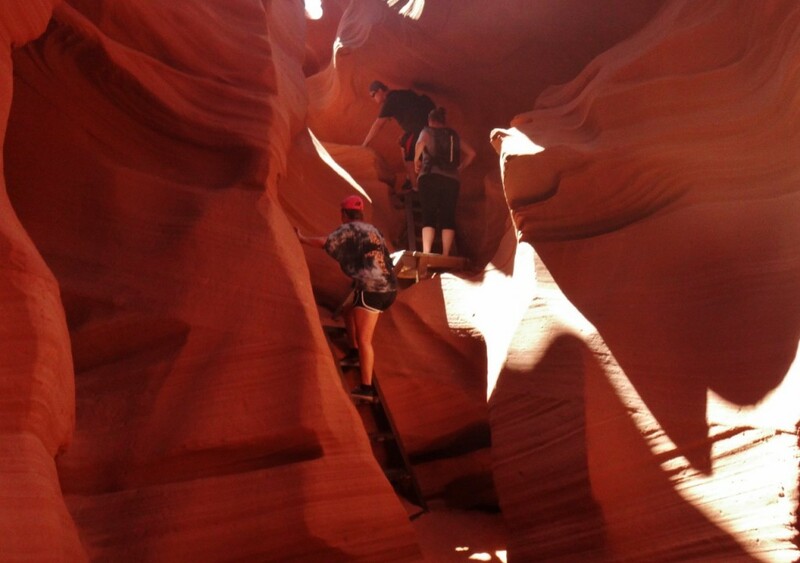 What I particularly appreciated about the lower section of Antelope Canyon was that the guides take a single group, of about 10 people, into the canyon at a time. Each group is spaced out about every 15 minutes, giving you isolated time to enjoy the canyon in a more serene environment. 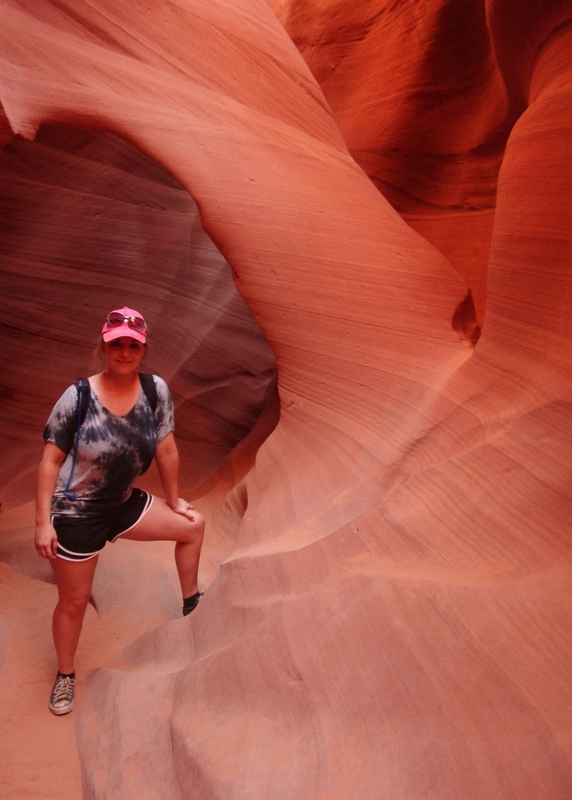 TRAVEL REVIEW: Lower Antelope Canyon Trip Highlight! This section of the canyon is above ground and shaped like an upside down V (opposite of the Lower Canyon), with a wide base and a narrow opening causing it to be rather dark. The ground of the canyon is level and there is no climbing up and down ladders, like in the Lower Canyon. 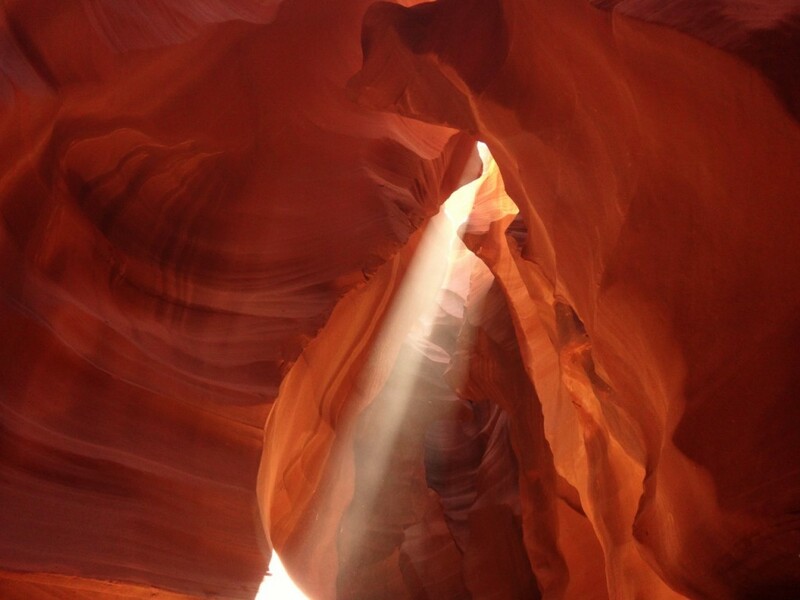 The only light emanates when the sun shines through the tiny openings in the canyon’s roof. These small openings create light beams that can only be seen in the middle of the afternoon when the sun is directly overhead. Even though I visited the canyon at this prime time, I felt like most of it was still fairly dark and the vivid colors that I saw at the Lower Canyon were almost lost here. This would have been just as magical as the Lower Canyon had I not been in the presence of hundreds of other tourists. It was hard to enjoy the beauty of the canyon and focus on the natural rays of light beaming down on me while being pushed through the canyon like cattle. 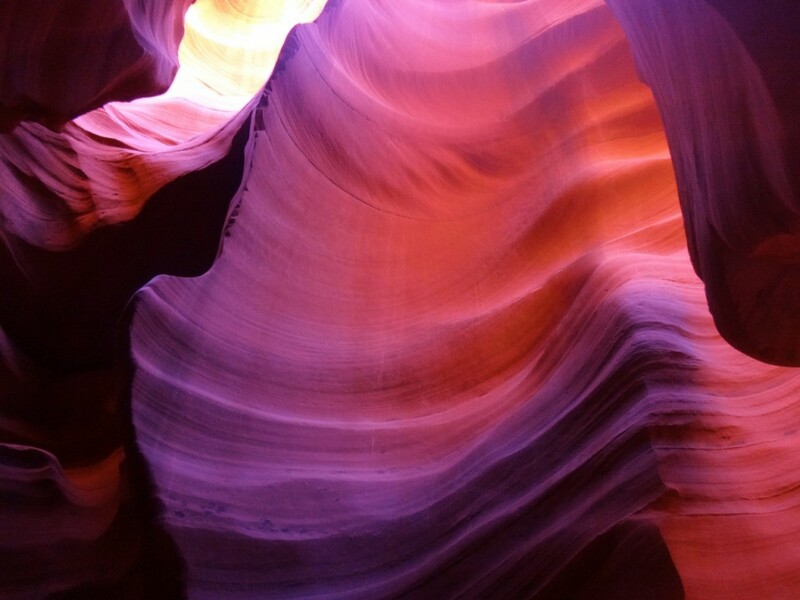 Even though the experience was less than ideal, it is still hard to overlook the stunning natural phenomenon that is the Upper Antelope Canyon. This is Arizona. It’s hot and dry. You will get dehydrated faster than you can say the word dehydrated, especially in the summer months. Make sure to have a water bottle with you at all times. If you are visiting the Lower Canyon, you’ll want to have sturdy hiking or tennis shoes as you will be descending ladders and climbing through small openings. It’s best to visit the Lower Canyon in the early morning to avoid the crowds. The Lower Canyon does not take reservations and operates on a first-come-first-serve basis only. Reservations are accepted through many different tour companies for the Upper Canyon. The best time to visit the Upper Canyon is around noon, when the sun is directly overhead; this gives you the best chance to see the sun beams entering the canyon. 8. Take Lots of Photos! A camera is very important when visiting Antelope Canyon; you’ll be at one of the most beautiful places in the world! The guide for my group in the Lower Canyon was amazing and helped each one of us turn our cameras to the correct settings so that we could capture the colors and textures of the stone perfectly. Arizona is well known for its flashfloods, particularly during the monsoon season. In August of 1997, 11 people drowned in a flashflood in the Lower Canyon when a 50 foot wall of water swept through the canyon. 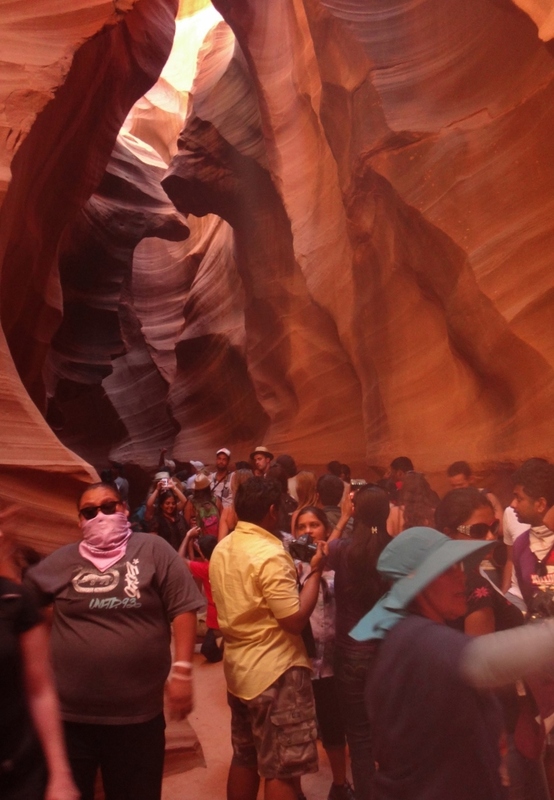 Lower Antelope Canyon remained closed for 9 months before it reopened with improved safety features. All visitors must now be accompanied by a guide who is qualified to assess the safety and weather conditions. Avoid the canyon during rainstorms. 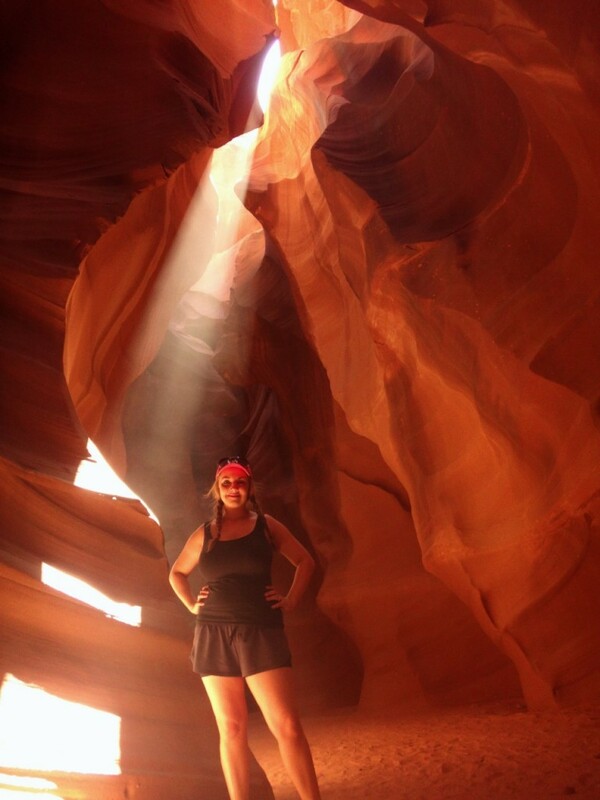 Even if it isn’t raining at Antelope Canyon flashfloods can travel from miles away. 10. 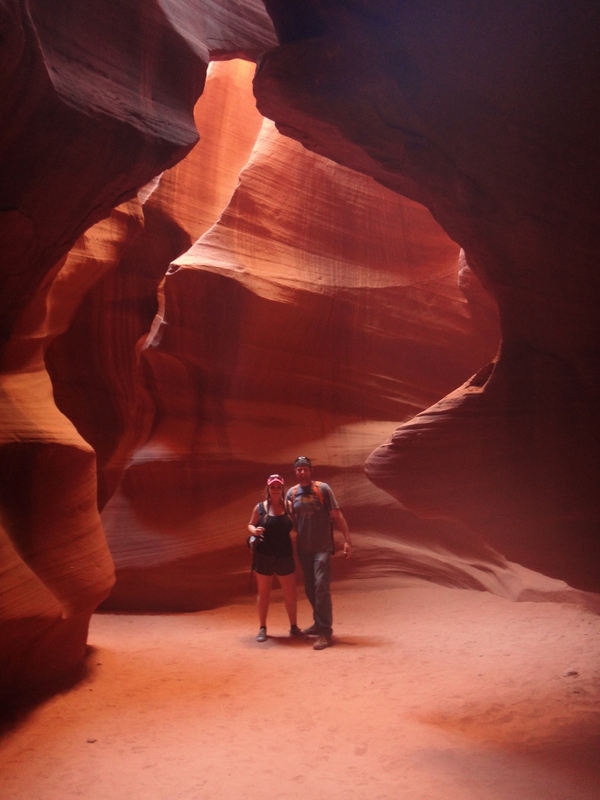 Don’t Just Stop at Antelope Canyon! There are many other amazing things to see in the immediate area. 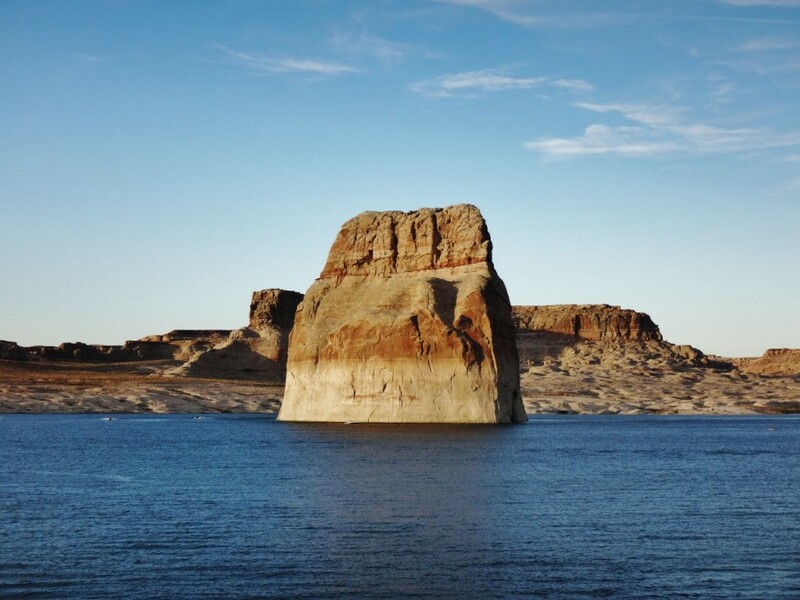 The southern shore of Lake Powell is just a few miles north of Antelope Canyon and has a great camp site called Lone Rock Beach. 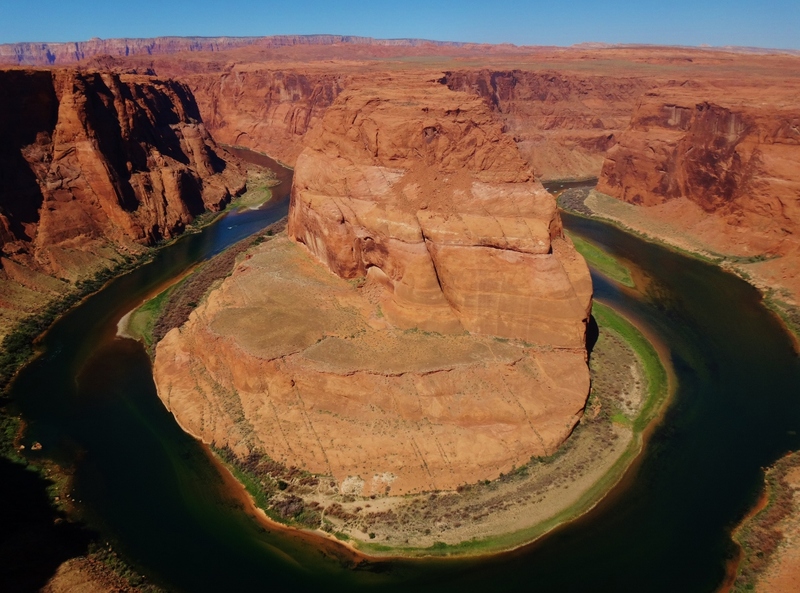 Also, just a few miles south of Antelope Canyon is Horseshoe Bend, one of the most photographed areas of the Colorado River. What a gorgeous place to visit. I had no idea that the upper canyon was that busy! I don’t like crowds- I’d much rather go through the less popular- though equally stunning- lower canyon. I loved your photos!